We recently had the chance to review some new kids music by MeeWee. And since I have quite the little singer/dancer I jumped at the chance. 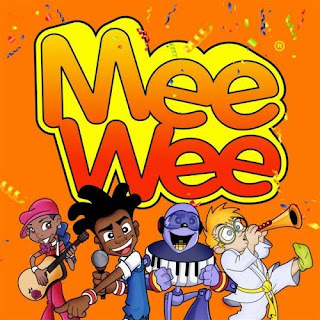 Now MeeWee is touted as "fun, exciting, and uplifting Hip-Hop music for elementary school age children." And while my little guy isn't quite that old yet, he seemed to enjoy it quite a bit! What I do like about this music though is that it'd different than the normal kid songs I've heard a million times over. It's also available through download at places like amazon and iTunes.